A face lift is a commonly performed cosmetic surgery. It is preformed when a patient desires a more youthful appearance. It does this by giving the skin a rejuvenated and healthy glow. There are many different surgical techniques that can be preformed to achieve the desired look. The surgery aims to visibly reduce the signs of again by improving the look of deep creases, wrinkles and loose skin. The surgery usually involves the removal of facial skin and tightening the tissues underneath the skin. The skin is also resurfaced over the patient’s skin and neck. It is common that people have a face lift in conjunction with eyelid surgery and other facial surgeries. The cost of a face lift surgery varies greatly depending on where you are having the procedure done. The surgeon’s credentials and experience will also affect the cost of the surgery. There are many different face lifts that patients can choose from, with different costs associated with each type. The general cost of face lift surgery varies anywhere from $7,000 to $15,000 depending on the nature of the surgery. There are many different procedures of face lifts. 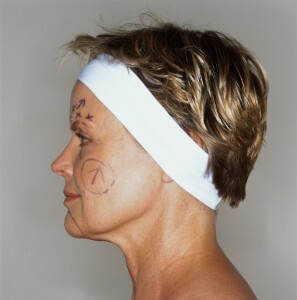 The type of facelift depends on the type of incision and scope of the procedure. At the consultation the doctor will go over what changes the patient would like to see and will choose a procedure based on the nature of the work. The expectations of the patient, recovery time, age and areas to improve are all taken into consideration before choosing the type of face lift to preform. The traditional face lift consists of a lengthy incision around the ear and hairline. The skin is separated so that the surgeon can tighten the deep tissue with sutures. The skin is placed based on the surgeon’s judgment. The wounds are then closed with sutures and staples. A deep plane face lift is set to correct the deepening of the nasolabial fold. A composite face lift involves mobilizing and re-positioning a deeper layer of tissue. A mid face area face lift helps to make the face appear younger and less masculine. A mini face lift is the least invasive type of face lift. It does not affect the neck and requires much less recovery time. A subperiosteal face lift involves vertically lifting the soft tissues. The surgeon will then separate the facial bones and elevating it. A skin only face lift does not affect the underlying muscles or tissues so it is considered a shorter term solution. The most common health risk when receiving a face lift is bleeding. Complications also include damage to the facial nerves and necrosis of the skin flaps or infection. Hematoma is the most common complication after a face life. Arterial bleeding can also happen within 24 hours of surgery. Nerve injury can also occur which can be temporary or permanent. Skin necrosis can also occur after a facial operation and the risk of this is increased with smoking. Scarring is also a complication of face lift surgery. There may also be hair loss in certain areas where the incision took place. Infection may also occur after face lift surgery, but is very rare. Most patients only have to stay a few hours after receiving a face lift although some may be kept overnight for further evaluation. Once the dressings and drains are removed, there may be puffiness and discoloration including bruising. There may also be signs of asymmetry or unevenness, but this is temporary. The swelling usually lasts for 24 to 48 hours and the bruising usually heals within two weeks. The stitches are usually removed within a week of surgery. Strenuous activity should be avoided for the first few weeks so that the face has sufficient time to heal. Aspirin and non-steroidal anti-inflammatory medications should be avoided for the first few days after surgery. Smoking should also be avoided. The doctor will give specific follow up instructions which include how to care for and change dressings. It will also describe how often and when to take medications. The doctor will also let the patient know what to look for in order to have a successful healing process. The road to recovery is gradual so the doctor will schedule follow-up visits in order to see how the face lift is coming along. If you notice anything out of the ordinary with your healing process contact your doctor.